What he did: Actor Dan Aykroyd gained fame as a member of the original cast of Saturday Night Live, where some of his characters were known for their dubious business ideas (think: Irwin Mainway and his Bag-o-Glass kids’ toys). But in real life, Aykroyd has a profitable venture on his hands—Crystal Head Vodka, a boutique spirit packaged in a bottle that resembles a human skull. Since the brand launched in 2008, sales have exceeded $50 million, with more than a million bottles sold. How he did it: Many celebrities have gotten into the booze biz— others include Justin Timberlake and Sean “Diddy” Combs. 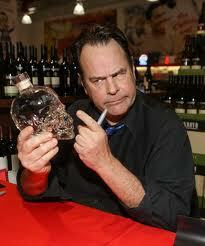 But Aykroyd’s brand has earned some admiring attention within the liquor industry. While he boasts about his vodka’s ingredients, observers say he’s also been a relentless marketer, appearing at dozens of promotional events and overseeing the design of the eye-catching packaging, inspired by his interest in the supernatural. “It’s not like he put his name on it and left it at that,” says Eric Schmidt, a director of the Beverage Information Group, which tracks the spirits business. Why he did it: Aykroyd’s first foray into the booze biz was as cofounder of a distributor. Launching his own vodka brand was a logical way to extend the enterprise, though Aykroyd had to tap the college fund for his three daughters to create Crystal Head. 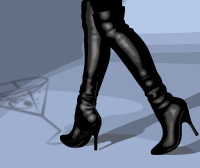 “It was all the cash I had lying around,” he says, “so I said to the girls, ‘We’re going into the vodka business! '” But he hopes that in addition to paying dividends now, the project will become a business his kids can take over one day—a meaningful alternative, financial pros say, to simply leaving them a large inheritance.